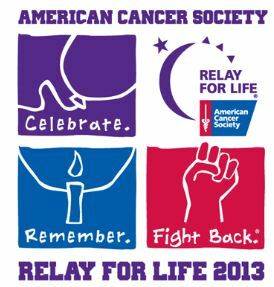 Tomorrow night into Saturday, I will be participating in an American Cancer Society's Relay for Life Event. At last year's relay, I wore a kerchief. This year, I have a full head of curly, unruly hair and I'm quite pleased about it. Last year we raised $25,000 and this year, we have raised just over $16,000 so far. Our team rocks, if I do say so myself. If you'd like to make a difference (and rock too),click here to make a tax deductible donation to our team.